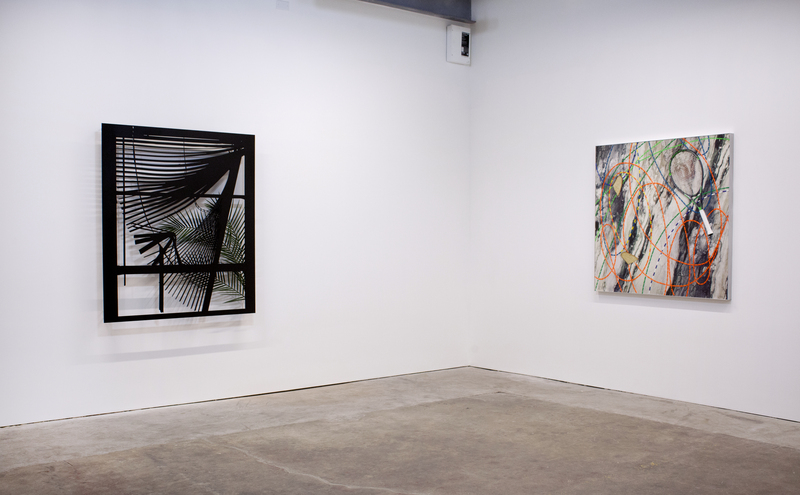 Installation view, The Cut, Adam Parker Smith and Eric Shaw at Ever Gold [Projects], San Francisco, 2017. Ever Gold [Projects] is pleased to announce a two-person exhibition with Brooklyn-based artists Adam Parker Smith and Eric Shaw. 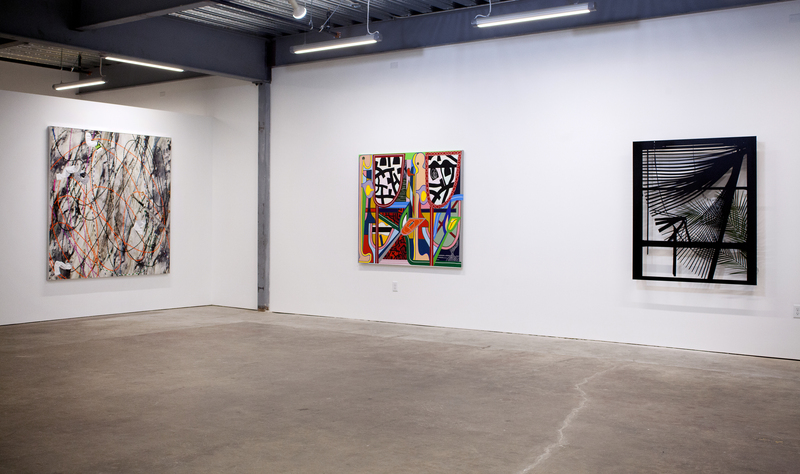 Parker Smith has previously had three solo exhibitions with the gallery in our original Tenderloin location (2011, 2012, 2014) and Shaw has previously shown in a group painting exhibition (2015). This will be the fourth Ever Gold [Projects] exhibition at our new home in the Minnesota Street Project building. 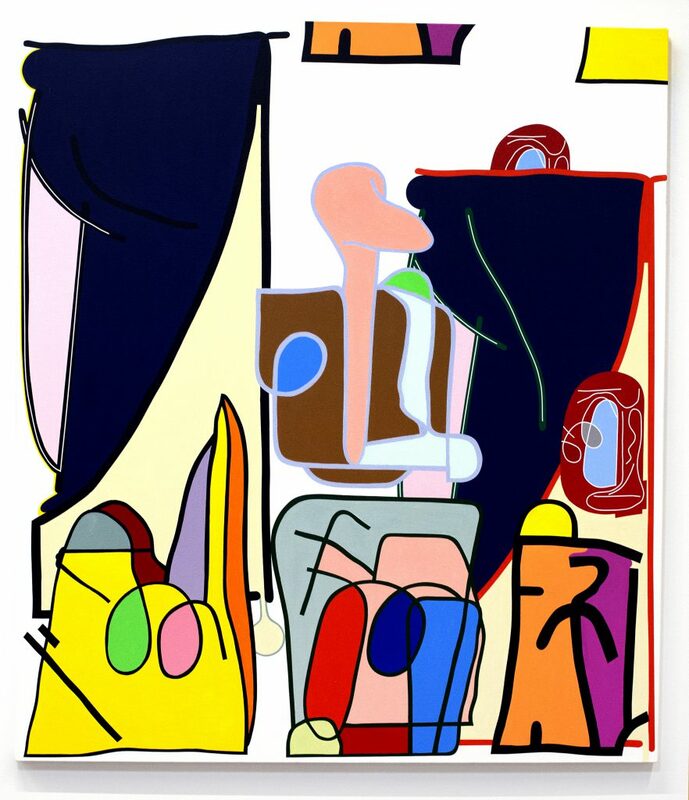 Eric Shaw’s hard-edged abstract paintings begin as digital sketches on a smartphone. Transferring his original sketches to canvas with acrylic and vinyl paint, Shaw then begins to build depth through a system of layers, photographing the paintings daily and generating new digital sketches of forms to include. Drawing influence from common elements in commercial graphic design, Shaw creates distinct layers of forms with contrasting shapes and colors. Shaw relates his process to that of a machine in motion—a mechanical ballet of sorts. 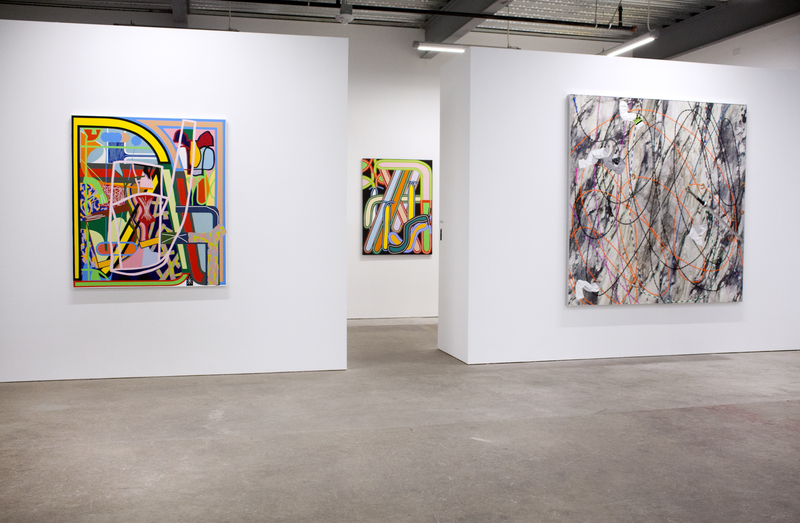 Digital feedback plays a role in each work, as Shaw realizes and develops what is originally a digital sketch, passing his work back and forth between analog and digital worlds. 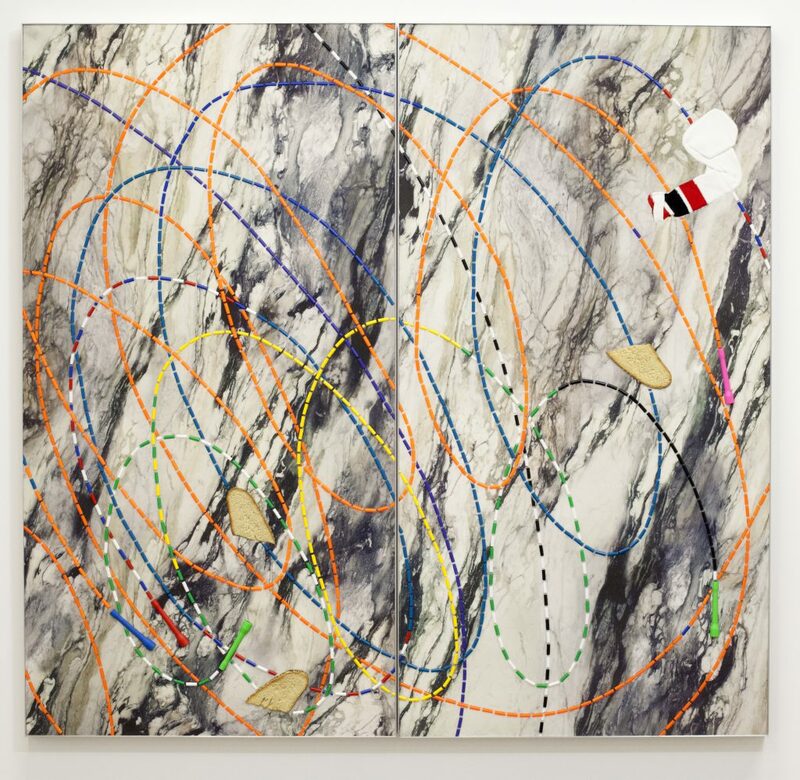 Shaw’s application of paint is (happily) not inhumanly perfect, yet the digital component of the artist’s practice is evident, with the layers of painted elements harnessing the particular visual impact of the digital space. The system that Shaw has developed for painting produces analog representations of creative digital work while combatting, elements that are arguably byproducts of digital culture itself. Adam Parker Smith’s work walks a fine line between a polished pop culture aesthetic, embattled with frequent tones of satire, executed through his skilled use of altered and fabricated components that often appear to be readily found objects. For the exhibition at Ever Gold, Parker Smith will present two new bodies of work, building off his recent series of large wall sculptures. Executing his new works with the same brand of visual impact but within a refined vision, he evolves away from a force of physical objects invading the viewer’s space. 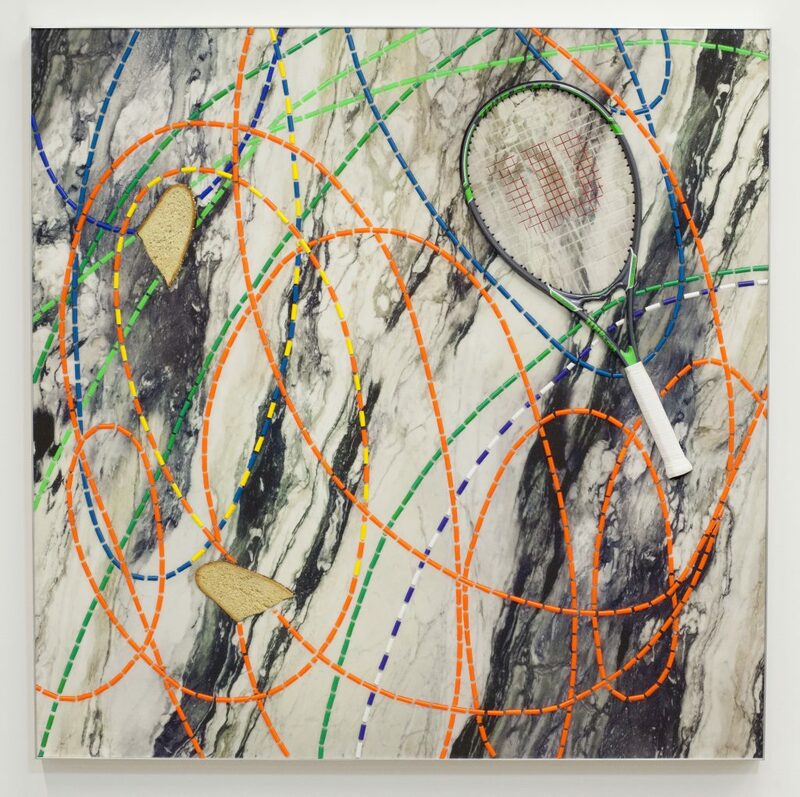 Through a series of simple abstractions in 3D arrangements, with references to the visual style of the New York School of painting, Parker Smith develops structures using materials like EVA foam with UV prints of marble as his canvas, with plastic beads, faux food, and socks inlaid via intarsia. These additive materials become compositionally representational of painterly gestural strokes, yet the objects invoke deep cultural memory. 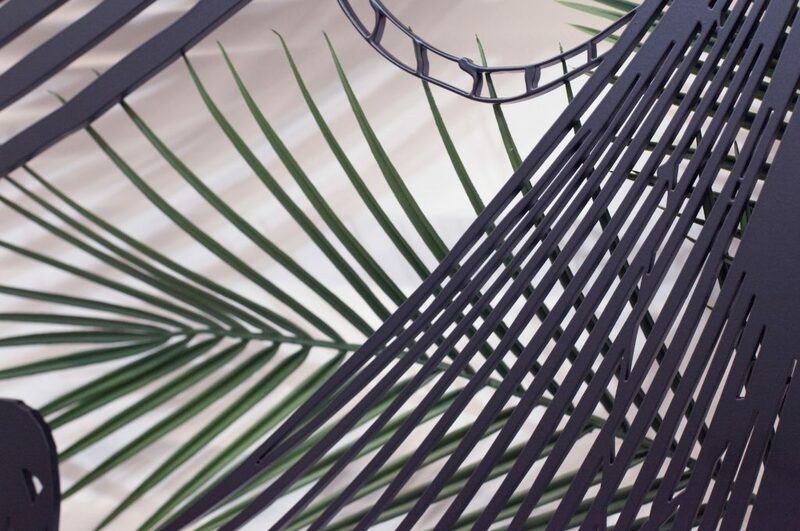 This creates a hybrid order of experience, where the disruptive repurposing and recontextualization of materials plays a role, both narratively and formally. 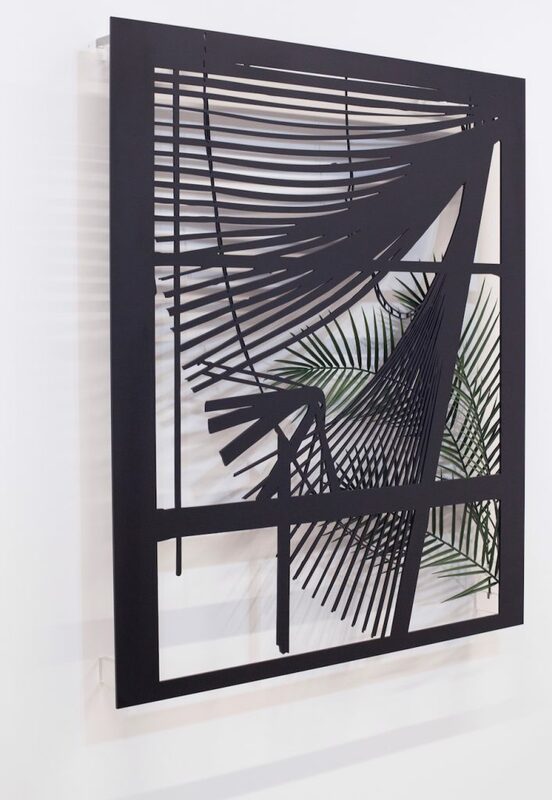 Parker Smith will also be premiering a new series of waterjet cut and powder coated aluminum window view sculptures, incorporating problematic perspectives and simple line drawings of windows and blinds from the viewpoint of a derelict interior. Frequently appearing throughout the history of art and cinema, windows have become a powerful signifier of the translucent boundary between the inside and outside, both spiritually and physically. In this new series, questions regarding authenticity and simulation are considered, while the irrelevance of those questions is simultaneously asserted. Adam Parker Smith (b. 1978, Arcata, CA) lives and works in Brooklyn. 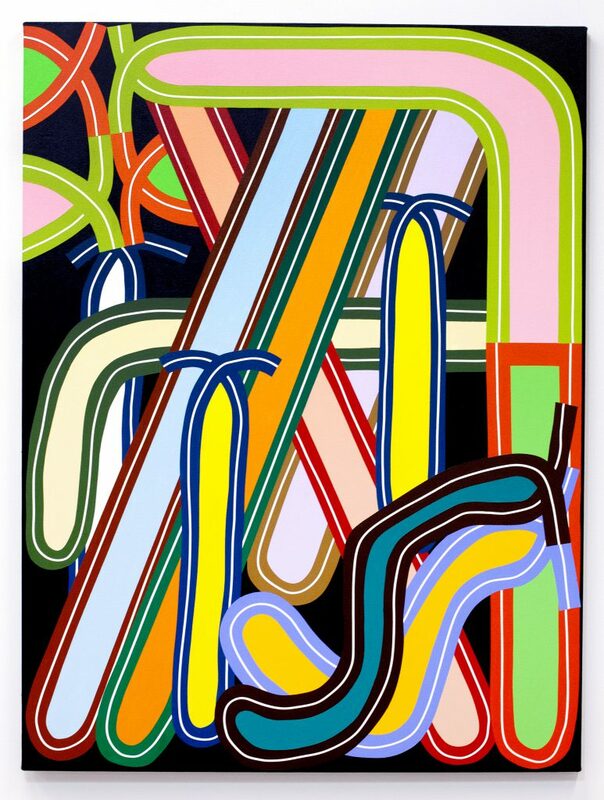 He attended the University of California at Santa Cruz (BA Painting, 2000), the Tyler School of Art at Temple University (MFA Painting, 2003), and the Skowhegan School of Painting and Sculpture (2008). 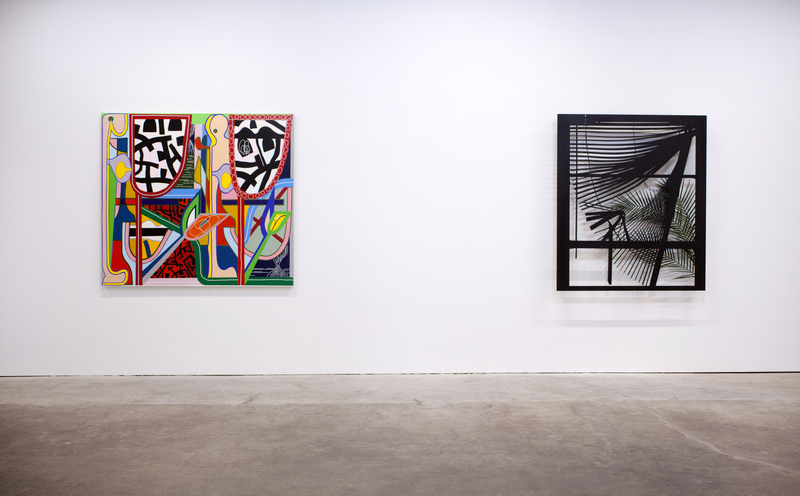 Recent solo exhibitions include Kidnapping Incites Years of Murderous Doom at The Hole, New York (2017), Oblivious The Greek at The Hole, New York (2016), and Seriously at Ever Gold [Projects], San Francisco (2014). 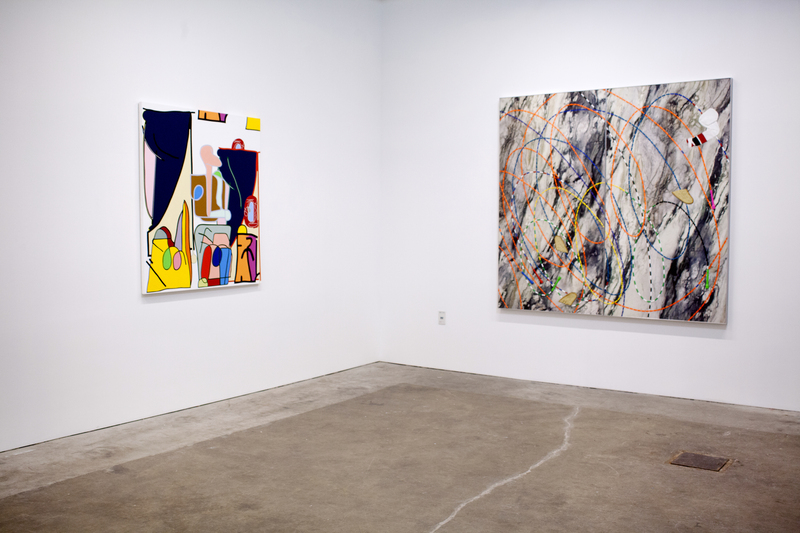 Selected group exhibitions include Gold Standard at Ever Gold [Projects] (San Francisco, 2019); Coping Mechanisms at Library Street Collective, Detroit (2018), Comic Form and Coming From at Galerie Odile Ouizeman, Paris (2018); Default at Honor Fraser, Los Angeles (2016), Mirror-Mirror at Eric Firestone Gallery, East Hampton (2016), and A Rare Earth Magnet at Derek Eller, New York (2015). 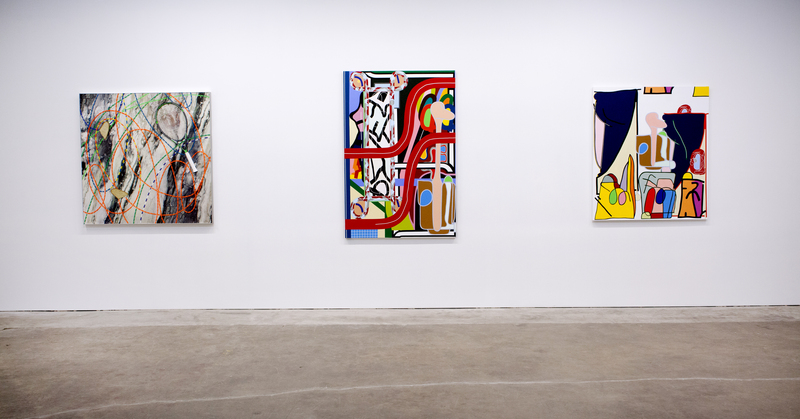 Reviews of his work have appeared in Art in America (March 2013, Brian Boucher) and The New York Times (August 2015, Roberta Smith) among other various international publications: his work has been featured in Paper Magazine, Interview, AUTRE, Forbes, Art News, The New Yorker, Modern Painters, The Village Voice, and The New York Post. In 2015, he was a recipient of the New York Foundation for the Arts Fellowship in Painting and has participated in artist residencies at Abron Arts Center, Wave Hill, Triangle, Swing Space, Sculpture Space and the Atlantic Center for the Arts, among others. Eric Shaw (b. 1983) lives and works in Brooklyn. 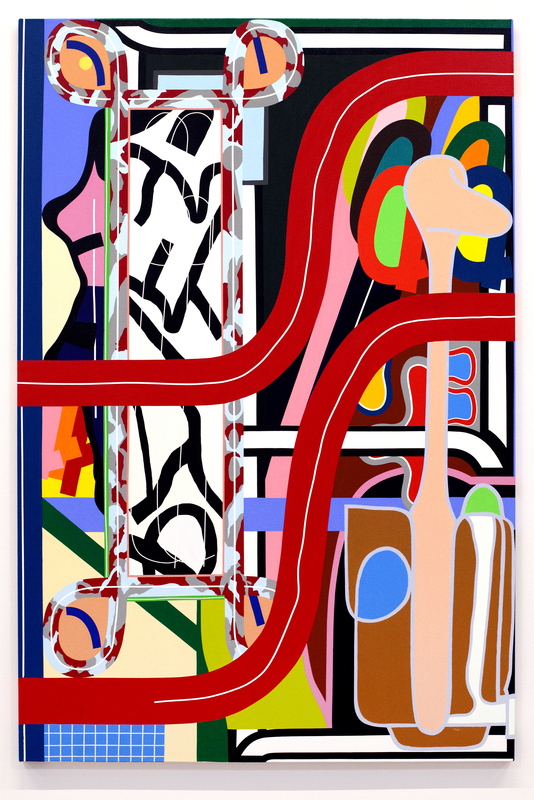 Shaw has exhibited internationally, most recently in Come As You Areat Annarumma Gallery, Naples (’16) and Stars & Stripes at Gordon Gallery, Tel Aviv (’16). Other recent exhibitions include Highlight: Summer One at Hollis Taggart Gallery, New York (’16), Maker’s Mark at Regina Rex, New York (’15), Some New American Paintings at Ever Gold [Projects], San Francisco (’15), Summer Mixer 2015 at Joshua Liner Gallery, New York (’15); SYNTAX-REFLUX at Privateview, Turin (’17); Post Analog Painting II at The Hole, New York ('17); and Trails at The Hole, New York ('17). EVA Foam with UV print, faux bread, plastic, aluminum, sock. Down by the Seaside, 2016. EVA foam with UV print, plastic, faux bread, tennis racquet, aluminum. 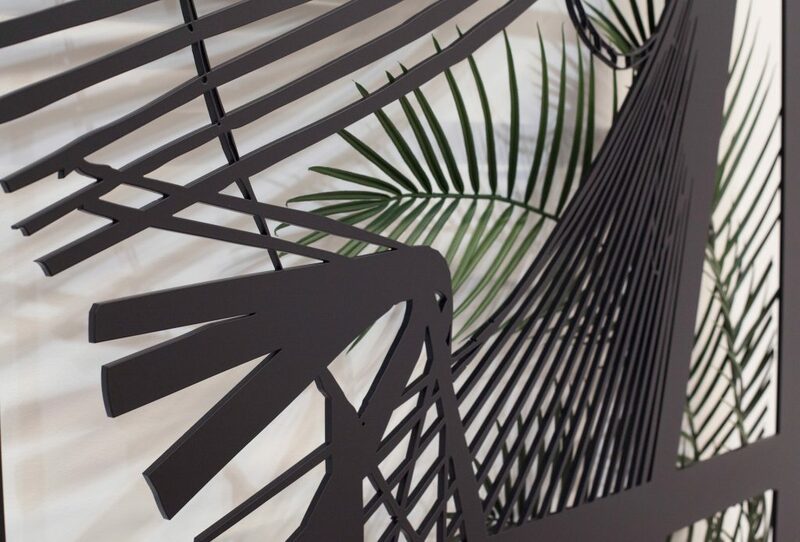 Powder coated aluminum, plexiglass, faux leaves.